Background: The location of proteins in a cell can provide important clues to their functions in various biological processes. Thus, the application of machine learning method in the prediction of protein subcellular localization has become a hotspot in bioinformatics. As one of key organelles, the Golgi apparatus is in charge of protein storage, package, and distribution. 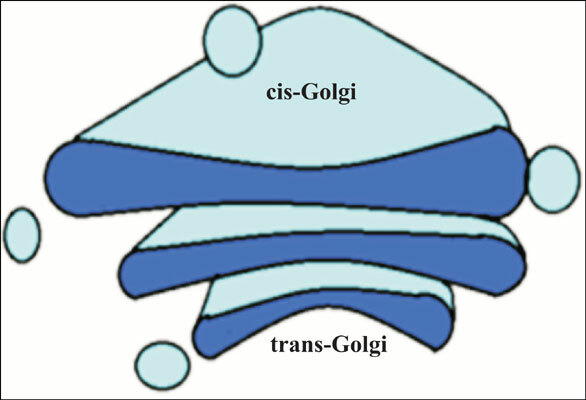 Objective: The identification of protein location in Golgi apparatus will provide in-depth insights into their functions. Thus, the machine learning-based method of predicting protein location in Golgi apparatus has been extensively explored. The development of protein sub-Golgi apparatus localization prediction should be reviewed for providing a whole background for the fields. Method: The benchmark dataset, feature extraction, machine learning method and published results were summarized. Results: We briefly introduced the recent progresses in protein sub-Golgi apparatus localization prediction using machine learning methods and discussed their advantages and disadvantages. Conclusion: We pointed out the perspective of machine learning methods in protein sub-Golgi localization prediction. Keywords: Golgi apparatus, machine learning method, feature vector, feature selection technique, webserver, benchmark dataset. Keywords:Golgi apparatus, machine learning method, feature vector, feature selection technique, webserver, benchmark dataset. Abstract:Background: The location of proteins in a cell can provide important clues to their functions in various biological processes. Thus, the application of machine learning method in the prediction of protein subcellular localization has become a hotspot in bioinformatics. As one of key organelles, the Golgi apparatus is in charge of protein storage, package, and distribution.